Global Diving and Salvage’s Katy Stewart checks in while working in the aftermath of Hurricane Michael in Florida. Meet Katy Stewart, who works for Seattle-based Global Diving and Salvage. What do you do? I’m a salvage officer for Global Diving and Salvage, working on a variety of wreck removal and marine casualty projects. 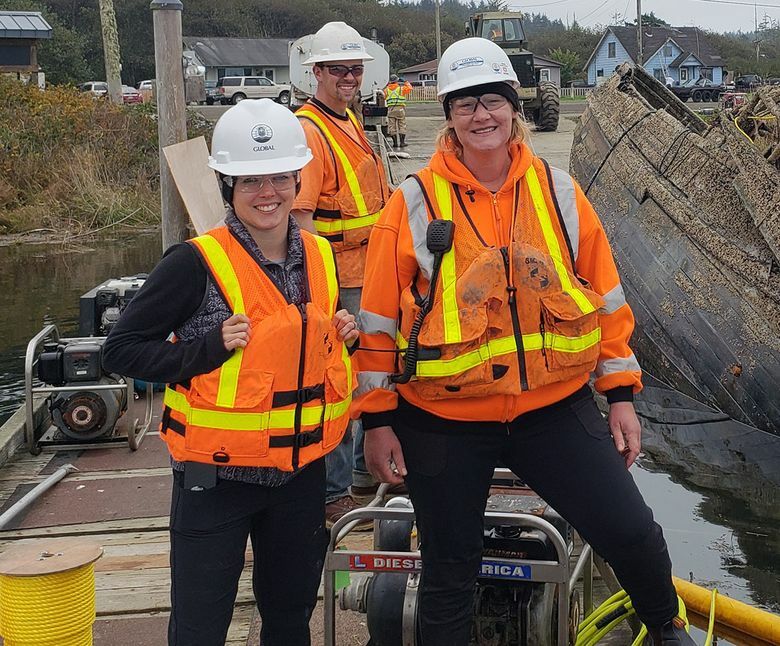 I do a lot of work with the state’s Derelict Vessel Program, as well as spill responses for the U.S. Coast Guard, the state’s Department of Ecology and the Environmental Protection Agency, among other things. How did you get started in that field? I was looking for a place to combine past maritime experience with my degree in environmental science. What’s a typical day like? Every day is different — that’s what makes it so fun! 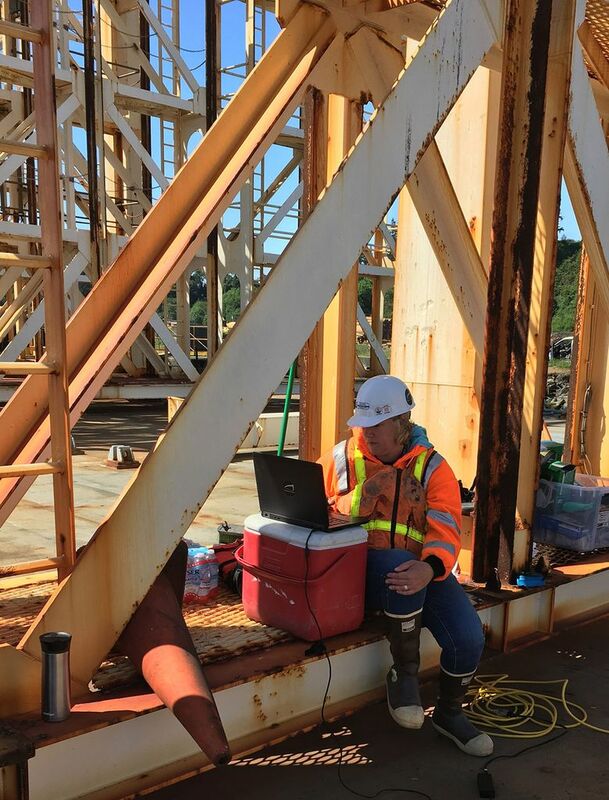 I’ll do anything from writing bids and estimates, making dead-ship tow plans, project planning, mobilizing equipment, attending drills, managing projects in the field, cost accounting … it really varies. What’s the best part of the job? The creative process of solving complex problems using whatever resources are available. Where has the job taken you? Right now, I’m sitting on a crane barge in Florida lifting boats out of the trees in the aftermath of Hurricane Michael. A few weeks ago, I rode a bulk carrier from Toronto to Duluth, Minnesota, through four of the Great Lakes. I usually don’t know where the next job is.